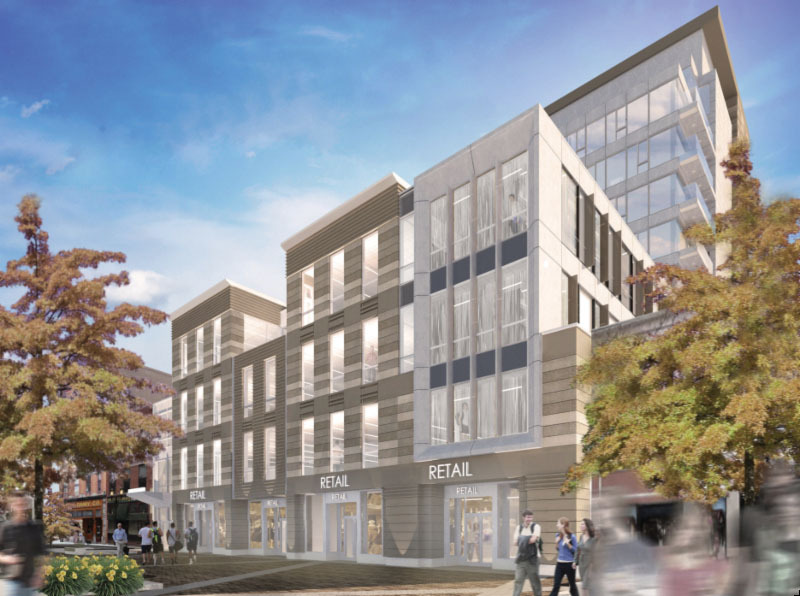 Ithaca, NY Harold’s Square LLC - L Enterprises, LLC, of Horseheads, in partnership with McGuire Development of Buffalo, have commenced construction on Harold’s Square, a mixed-use development located along Ithaca Commons. The large-scale development project is being constructed by regional general contractor, TAYLOR - The Builders, in design-build collaboration with CJS Architects, and Fagan Engineers & Land Surveyors. The 180,000 s/f project will include historic redevelopment of William Henry Building. The redevelopment will include 12,000 s/f of retail, 25,000 s/f of office, and 12 floors with 108 dwelling units. The project also includes 11,600 s/f (three stories) of the William Henry Miller Building historic property, that will be rehabilitated and made accessible.